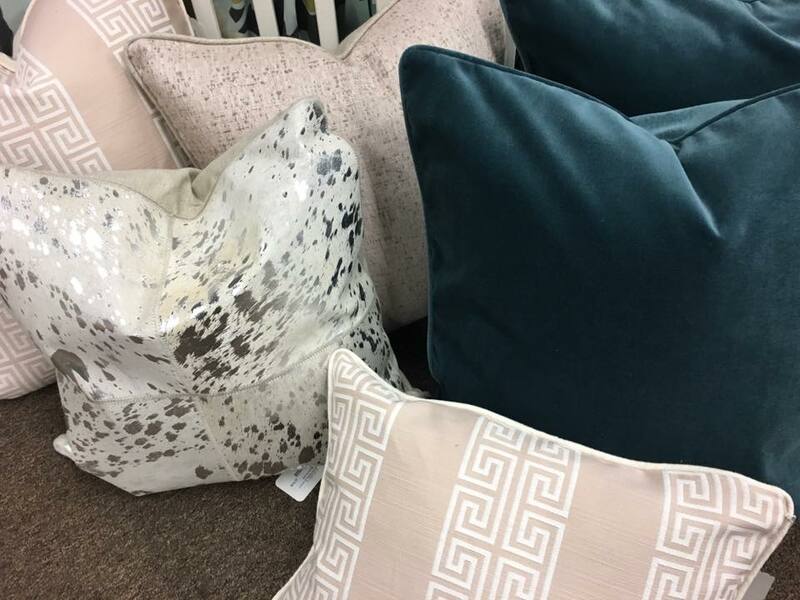 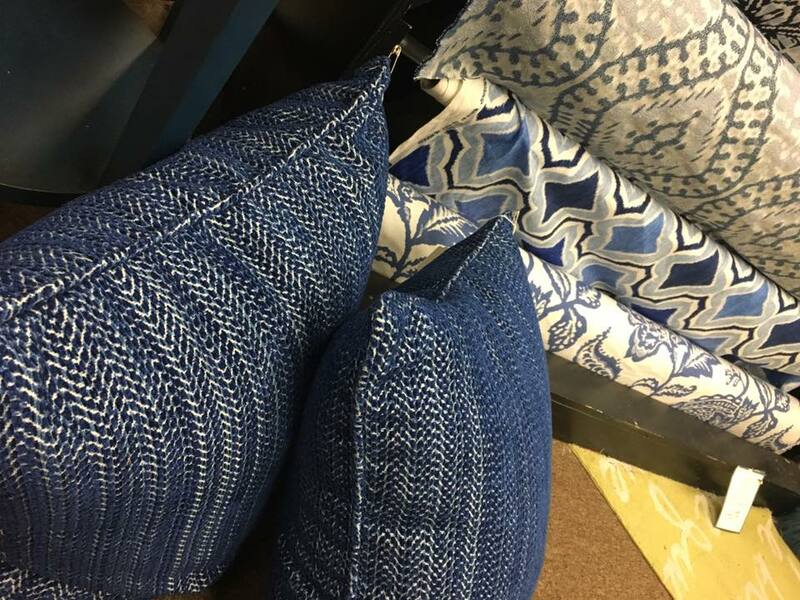 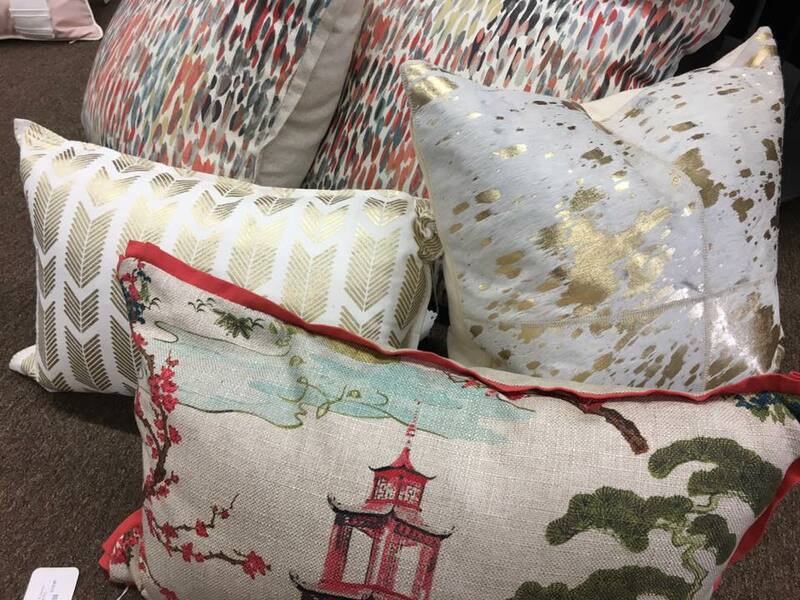 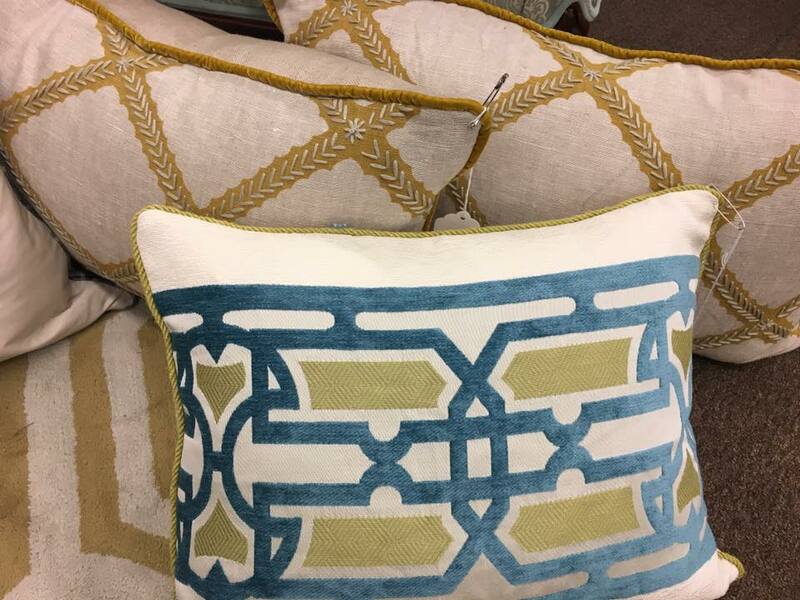 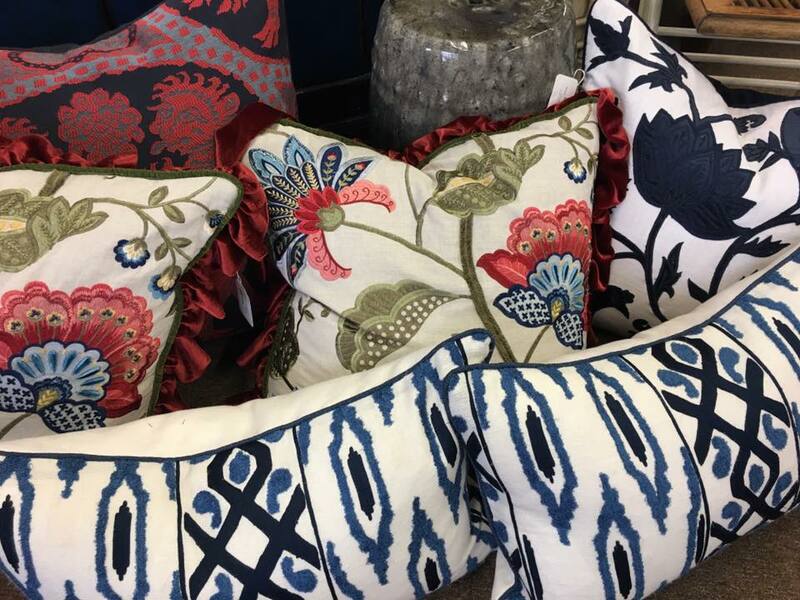 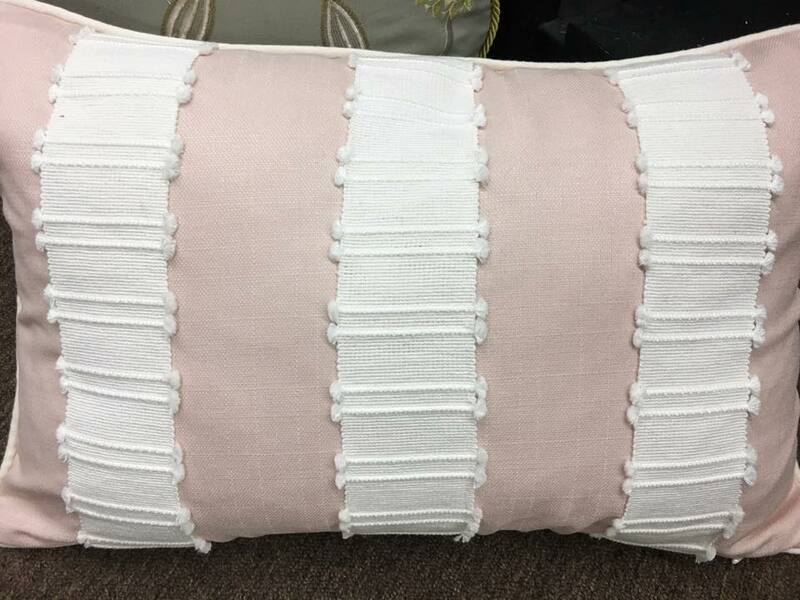 A combination of custom ready made pillows from our very own workroom and a few from one of our talented pillow vendors- all featuring high end designer fabrics, invisible zippers, corded or flanged edges, and down inserts are now new in stock on our showroom floor! 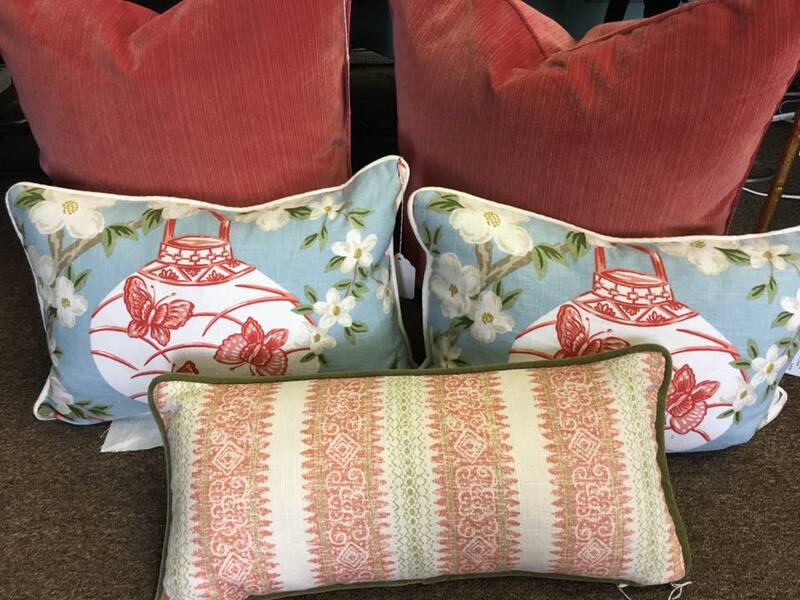 We have squares of all sizes and lumbars in an array of fun mix and match coordinating prints and patterns that would make the perfect Spring spruce up for your bed, sofa, or chair! 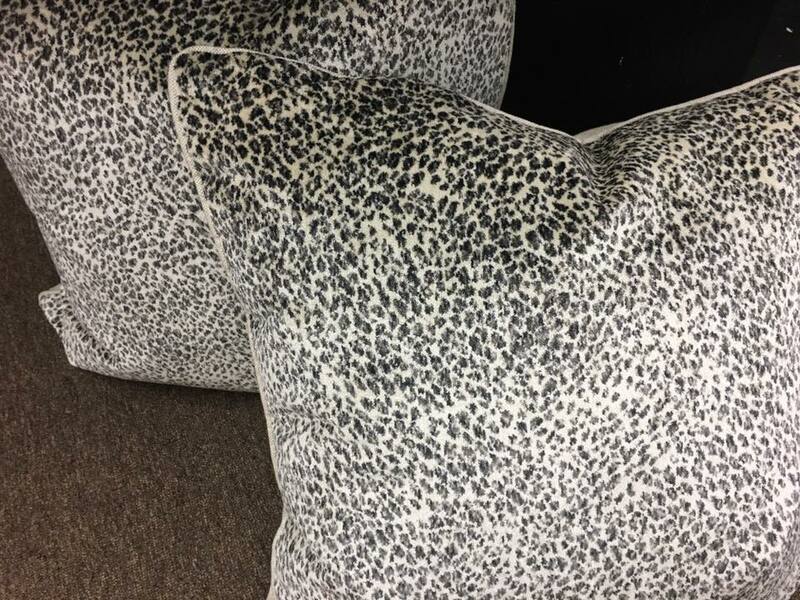 Stop by soon- these won’t last long!